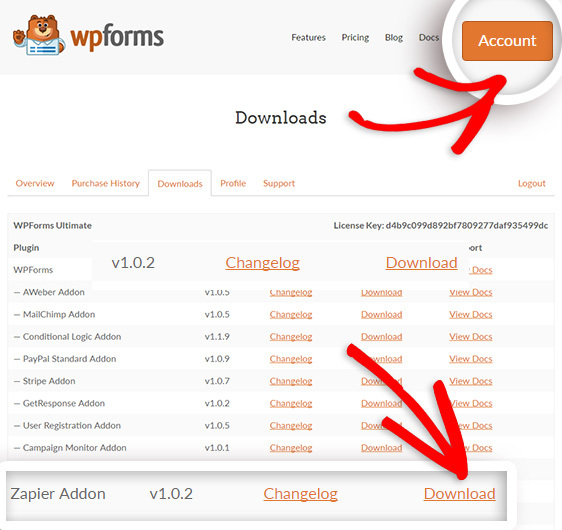 You can now connect WPForms with your favorite web applications using our Zapier Addon. Zapier allows you to automatically move information between web apps, so you can focus on your most important work. They have more than 500 web apps in their ecosystem, and now you can connect your WordPress forms with all of them. That’s just a few examples. The possibilities here are endless. Since WPForms is not a SaaS application, we had unique challenges working with Zapier’s new API requirements as a WordPress plugin. We’re thankful for the support and collaboration from their team. Go ahead and try out the new Zapier addon which is available for all Pro and Ultimate users. Also don’t forget to send us your feedback and suggestions. I really appreciate your patience and support. I receive a HTTP ERROR 500 when I activate this addon. Any idea why that might be? Thanks Jared – Just thought I’d see if you had any other reports if the issue. I’ll see if I’m able to resolve the issue myself (highly unlikely but you never know!) and if not I’ll submit a ticket. Thanks again. This is pretty exciting! Do you think WPForms will ever integrate with 17Hats? That would be spectacular if you did! Currently I have only my contact form as a WPForm on my site, and everything else is basically 17Hats, but it would be so much better (and prettier) if my lead forms and client questionnaires that link back to 17hats so my processes can remain smooth, could be done instead with a WPForm. Definitely loving all the updates and can’t wait to see what else is coming guys! A 17hats integration is not planned, but I’ll see if we can add it in our roadmap. I too agree this is a great feature. But, I was saddened to discover that I would have to upgrade 2 levels from basic to get this functionality. It’s a bit steep if I only need that 1 feature. Have you considered unbundling some stuff? When I click to install the zapier add on I get this error message “Could not install addon. Please download from wpforms.com and install manually.” There is no place that I can find to download on wpforms, so I can’t install it manually. Please help, thanks. If you’re having any trouble, please get in touch with support so we can help you out.